The festival of lights brings with it a familiar warmth, merriment and a sense of contentment to most Indians around the world. 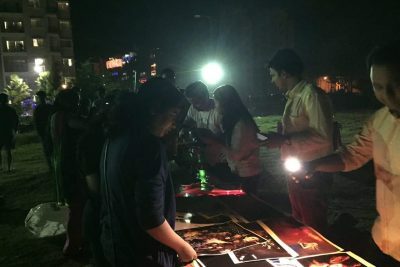 Diwali at IIM Ranchi was no different. The weekend saw the staff and students enjoy the occasion with an array of festivities organised by the Cultural Committee. On Chhoti Diwali, a food festival was held for all the students and residents of Khelgaon society. Apart from vendors like Chocolate Room, students themselves put up stalls of sandwiches, chaat, brownies, fruit juices and more. People of all ages came to the fest and enjoyed the services offered by our students. A speed-eating competition was held which needed contestants to gobble up a dozen bananas in the fastest time possible. It was a very entertaining event for the onlookers. 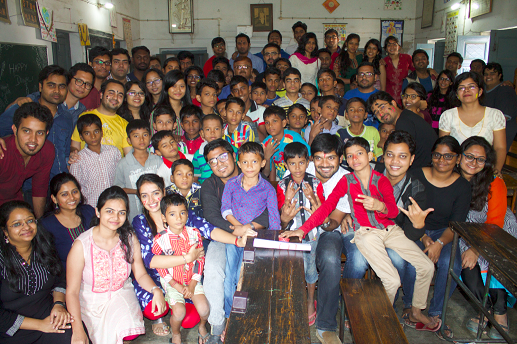 Diwali was welcomed with a visit by the students of IIM Ranchi to Kshitij School for deaf and dumb children, organised by Samarpan – the social responsibility club of IIM Ranchi. It was an apt conclusion to the Joy of Giving week. The week saw donations pouring in and a Silent Auction of products and services offered by the students and staff in order to raise funds for the cause. The evening saw all students dressed to the nines, greeting and enjoying the celebrations. A Rangoli competition was held where students got a chance to display their creativity. The Cultural Committee promoted a green Diwali with sky lanterns instead of crackers. 50 lanterns were sent up into the air together and it was a beautiful sight in the sky. The student facilities committee arranged for a special Diwali dinner which was thoroughly enjoyed by all. At the DJ night the students let their hair down and danced to the latest numbers. The night culminated with an Aarti, a yearly ritual at the hostel, invoking blessings for the times ahead. For many, it was their first Diwali away from home, but all the efforts of the Cultural Committee paid off and it was indeed a special one.